Private Dental Treatment: Is it worth bringing a claim? A blog considering the pros and cons of suing your dentist for negligent private treatment. In my practice I have noticed an increasing number of claims being brought against private dentists following substandard treatment. It is difficult to pin down the precise reason for this. It may be the increasing demand for cosmetic dentistry and adult orthodontics, the limited number of restorative solutions available on the NHS, or simply a more consumerist approach by patients who feel, quite rightly, that they should get what they pay for. Whether it is private restorative treatment such as root fillings or implant placement, cosmetic treatment such as veneers or cosmetic crowns, or adult orthodontic solutions such as Invisalign or Incognito braces, patients are parting with significant sums of money to get specific results. If the treatment goes wrong, patients often have to pay large sums of money to put things right. This is often on top of the money they spent on the original treatment! At best this will leave the patient out of pocket, but at worst they will simply not be able to pay for a second round of treatment. 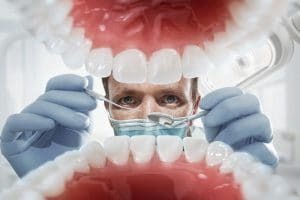 What are the advantages of bringing a claim against your private dentist? As with all types of dental negligence claims (whether NHS or private), there are tortious remedies available which allow you to recover the costs of remedial treatment as well as damages for pain and suffering. In negligence however, you cannot recover the cost of the original treatment or the cost of any future treatment aimed at getting result you expected. The aim in negligence is to rectify damage, not achieve the result for which you attended the dentist to begin with. For example, if you paid for orthodontic treatment to straighten your teeth but the treatment didn’t work, you can claim compensation for any damage caused to your teeth during the treatment (and the costs of putting this right). However, you cannot claim for the costs of further treatment to straighten your teeth. Luckily, private patients can also bring a claim in contract. The aim in contract is to put you in the position you would have been in had the contract had been properly performed. In other words, you are more likely to be able to claim for further treatment to achieve the results you originally intended. In the above example, you could claim for further treatment to straighten your teeth. Further, certain remedies arising out of the existence of a contract (such as rescission and restitution) will allow you to claim your original treatment costs as well. In summary, there are a range of remedies available to private patients who wish to bring a claim against their dentist. If you have experienced private treatment which you believe to have been substandard, and you have been left out of pocket as a result, please contact the Dental Negligence Team to find out whether you have a claim.